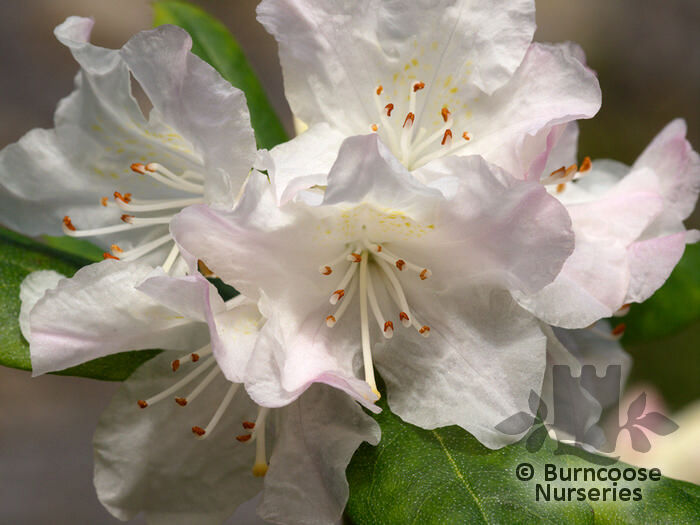 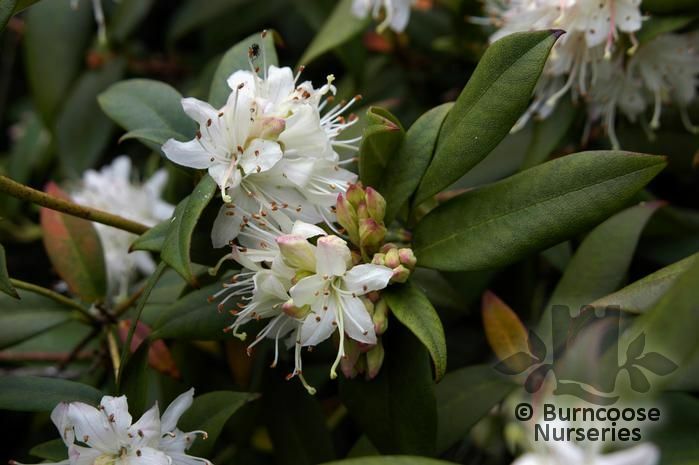 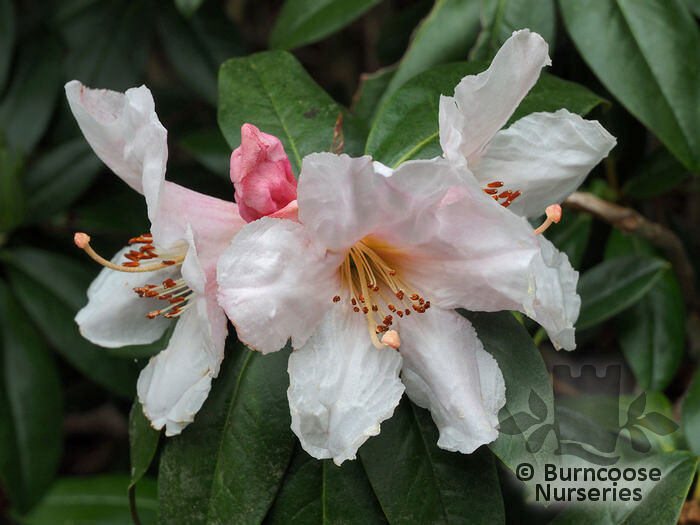 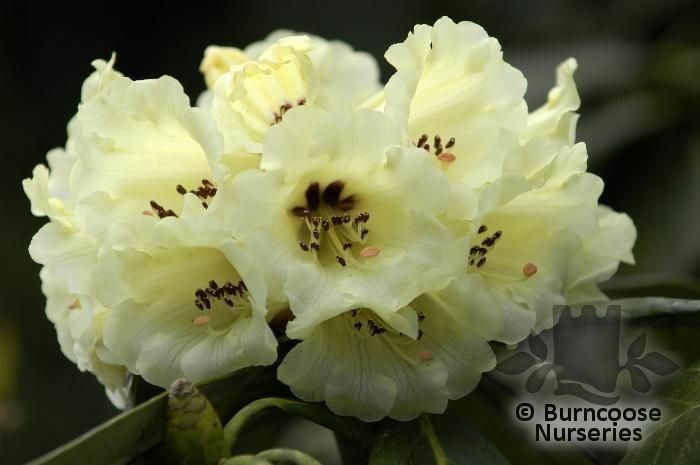 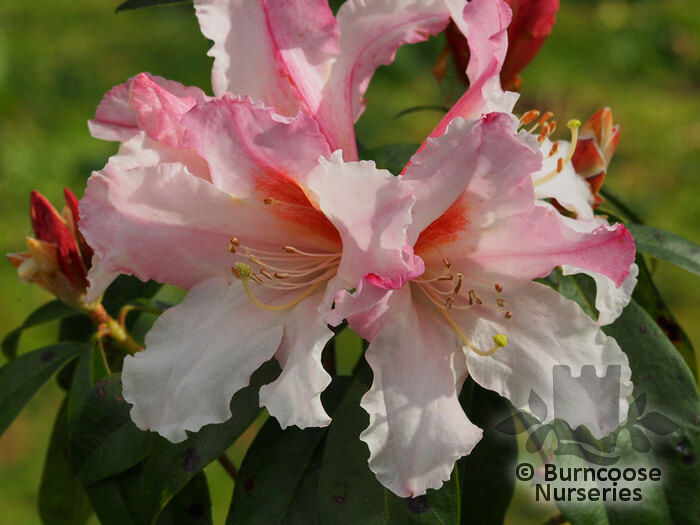 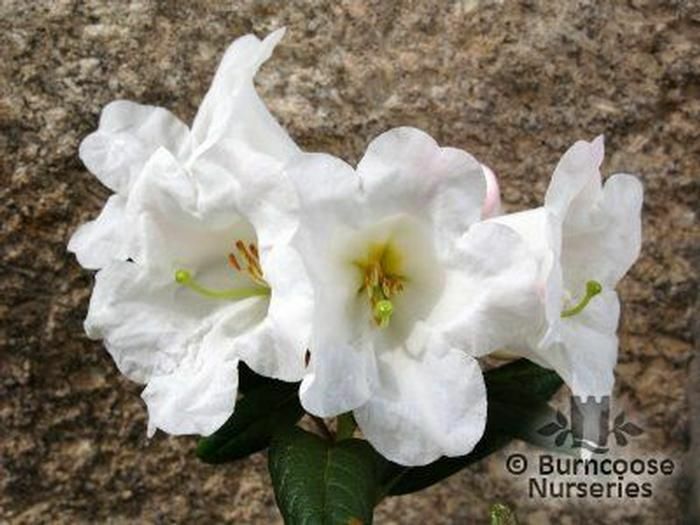 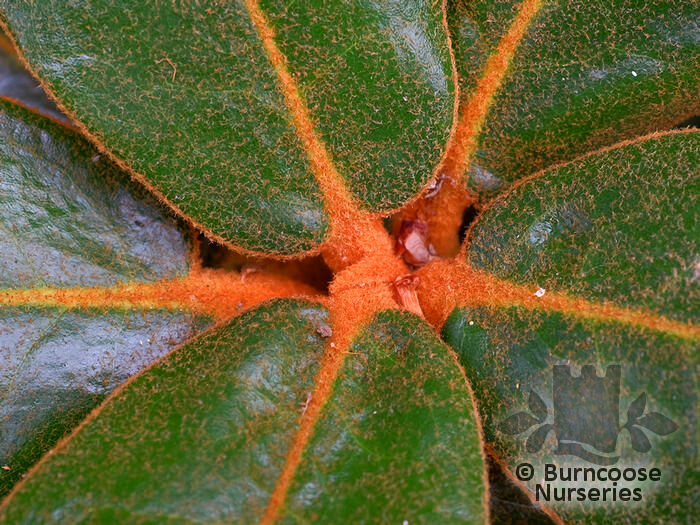 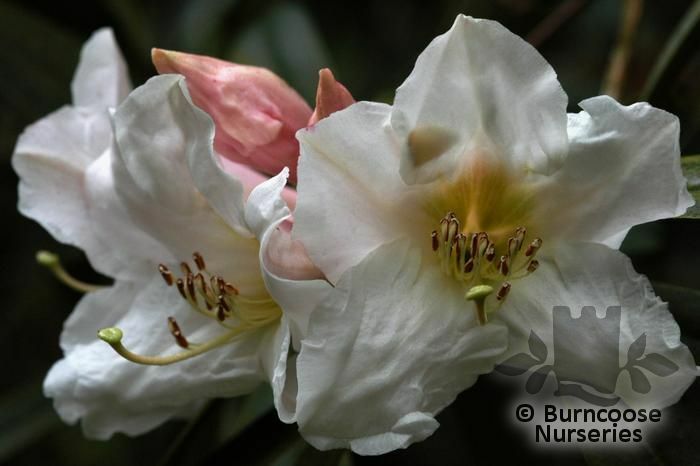 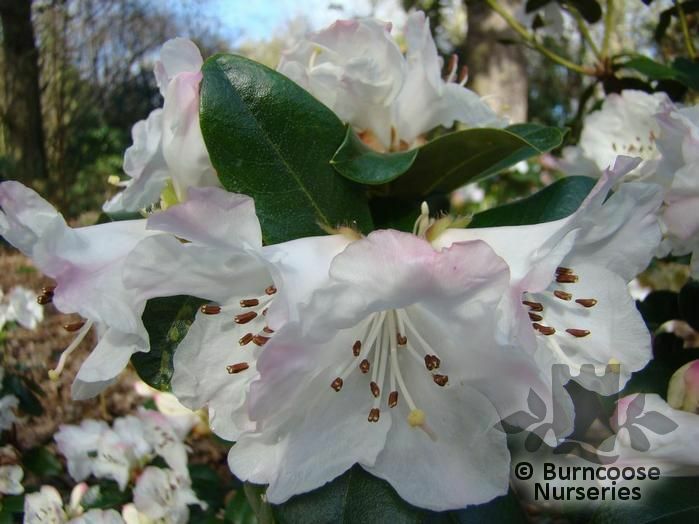 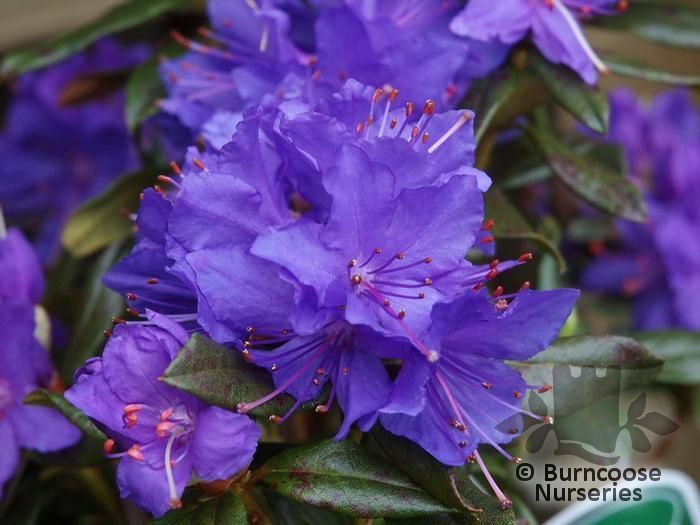 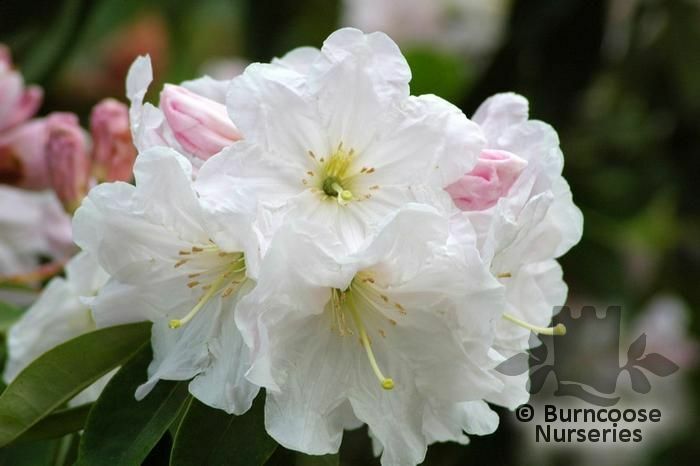 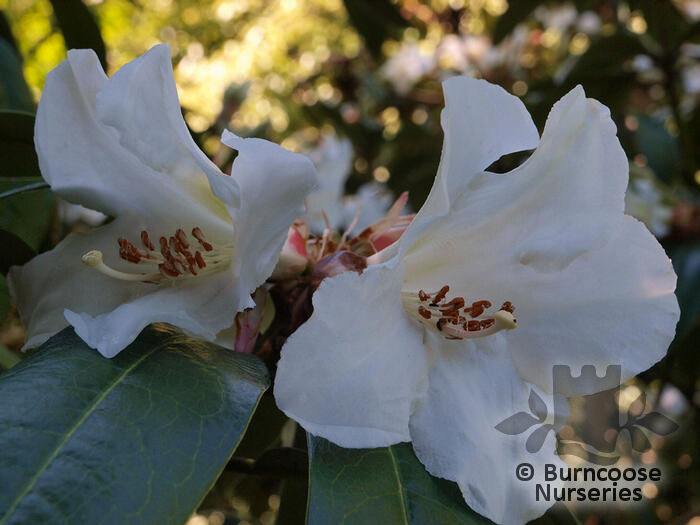 Scented Rhododendrons suitable for conservatory or cool greenhouse are marked with an asterisk. 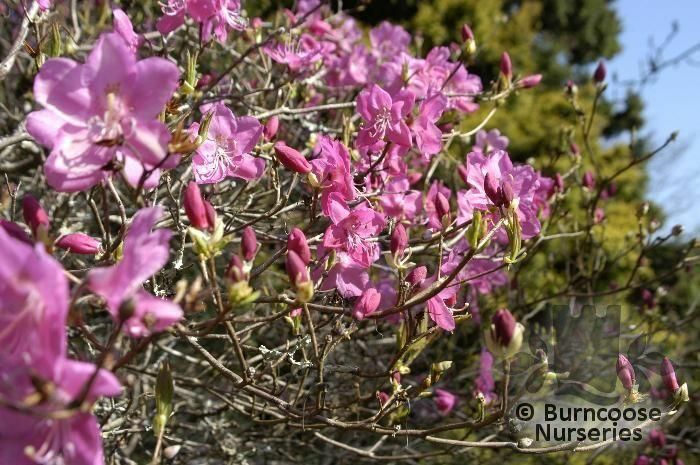 Genus of more than 1000 species of evergreen and deciduous trees and shrubs from Europe, Asia, Australasia and North America, particularly southwestern China, Tibet, Burma, northern India and New Guinea. 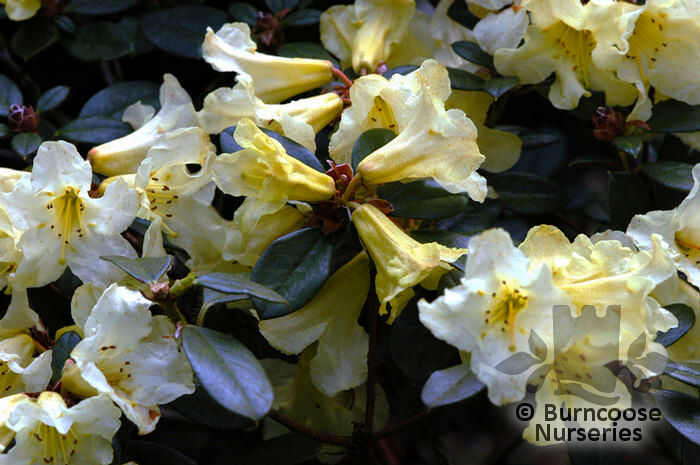 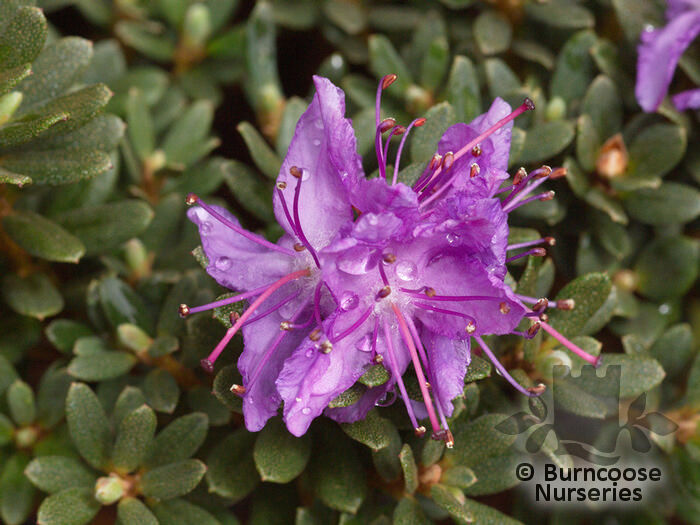 Evergreen rhododendrons vary greatly in size and usually have bell-shaped flowers with 10 stamens. 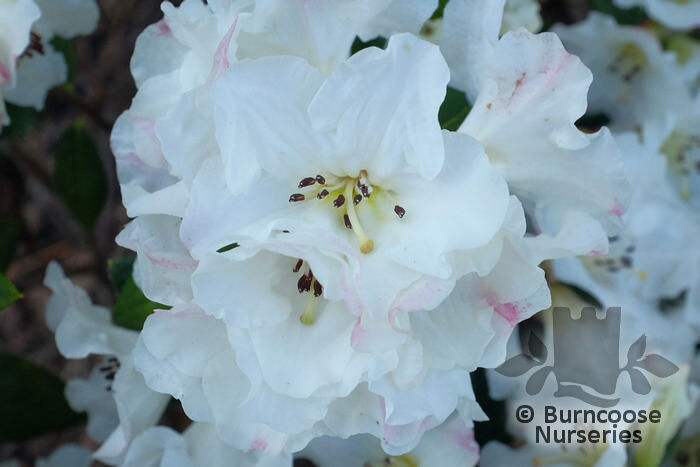 Azaleas have smaller, thinner leaves and are generally medium-sized shrubs with smaller, funnel-shaped flowers with, usually, 5 stamens. 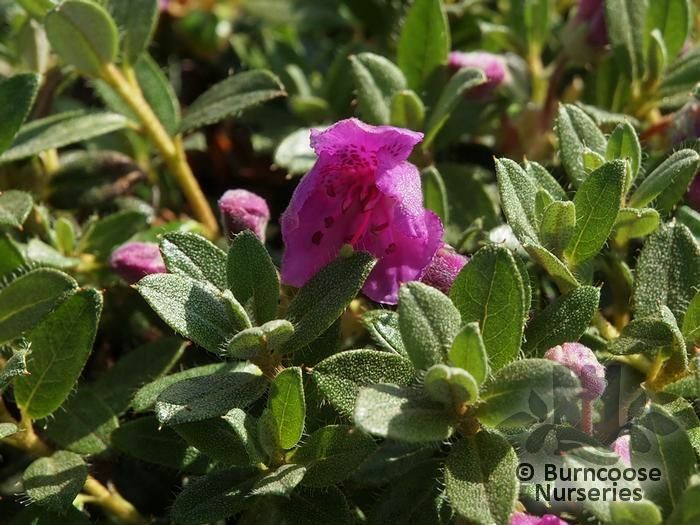 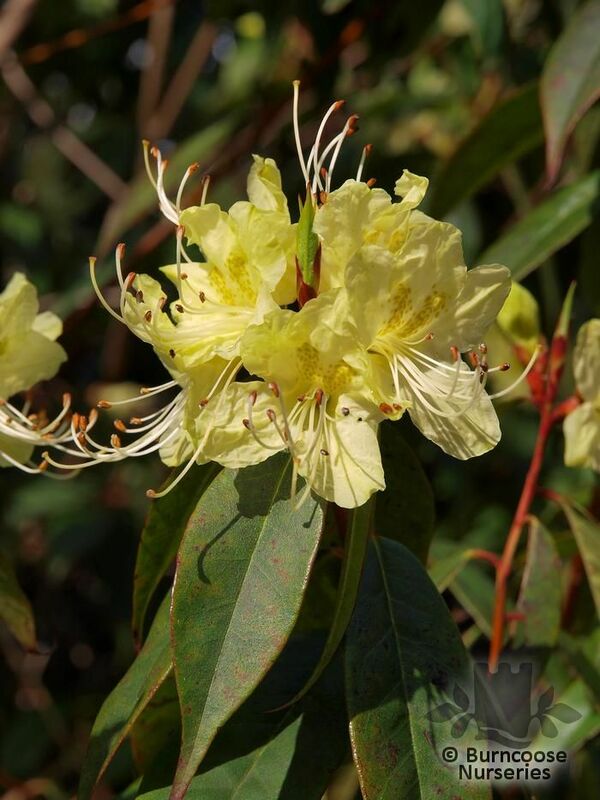 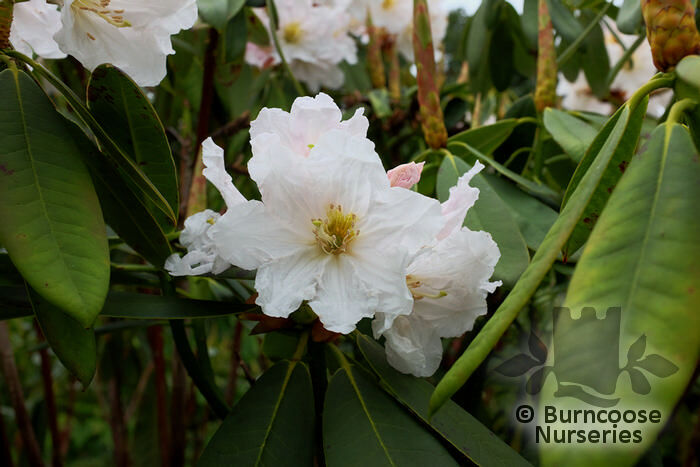 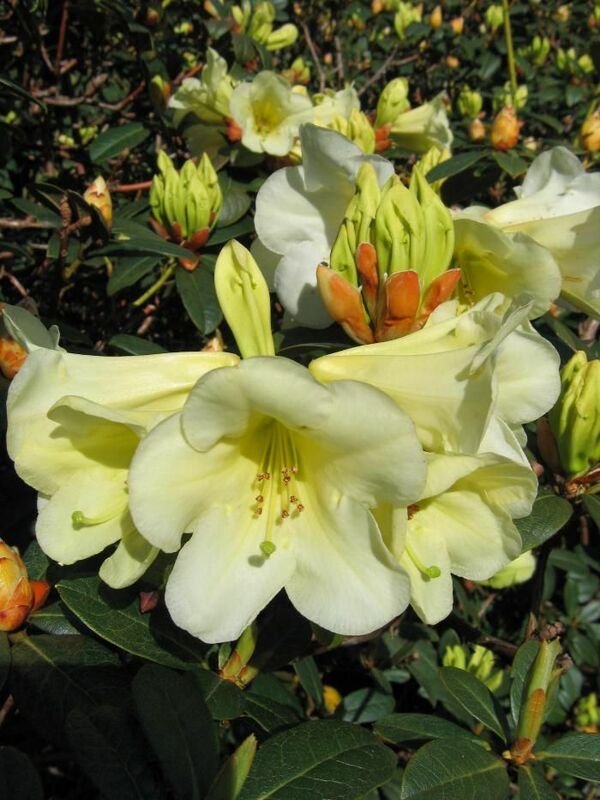 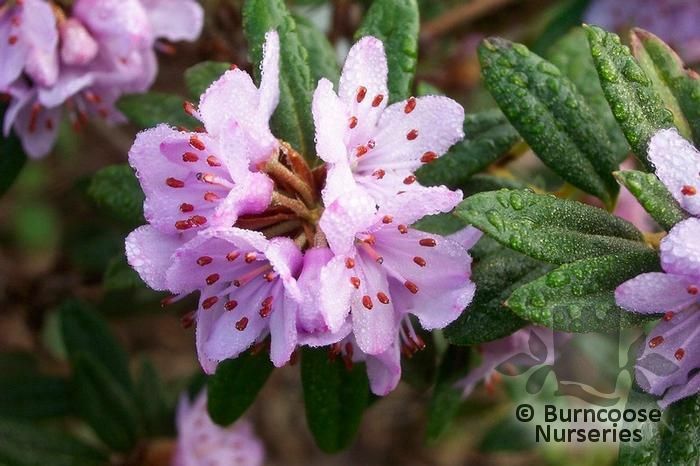 The problem rhododendron, vigorous hybrids of R. ponticum, which is colonizing large areas has been given the name R x superponticum and is subject to EU legislation under the "Invasive Alien Species Regulation". 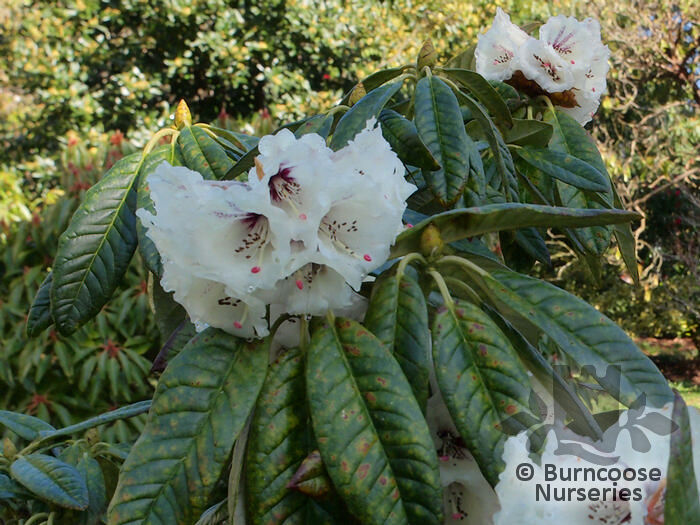 Partial shade - most large-leaved species and hybrids require dappled shade. 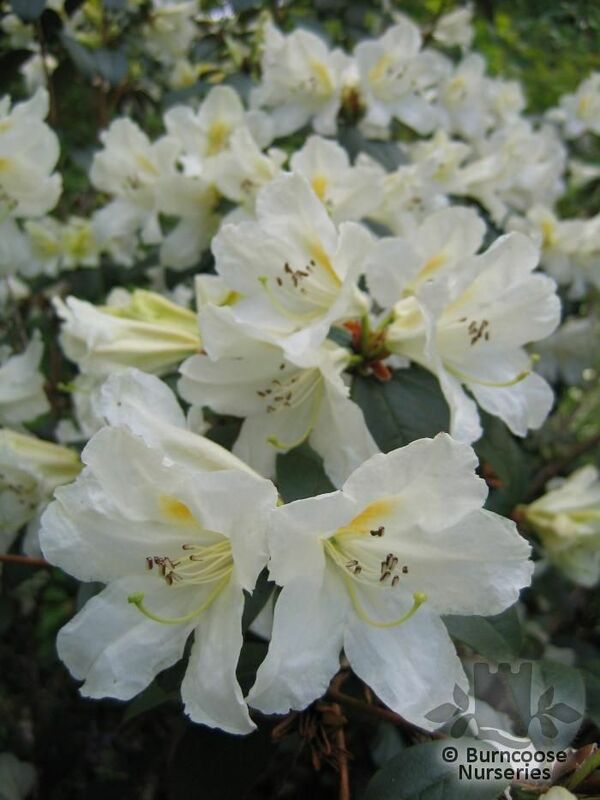 Additional Features	- Good to know - syn. 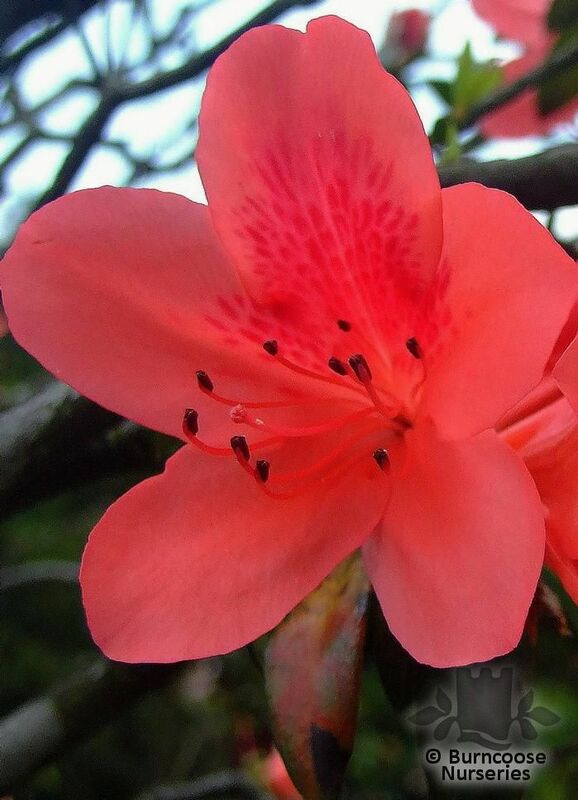 Azalea. 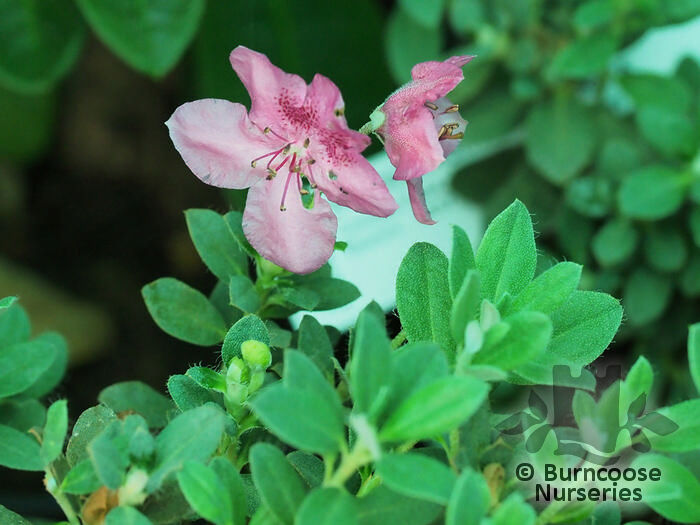 Shallow planting essential. 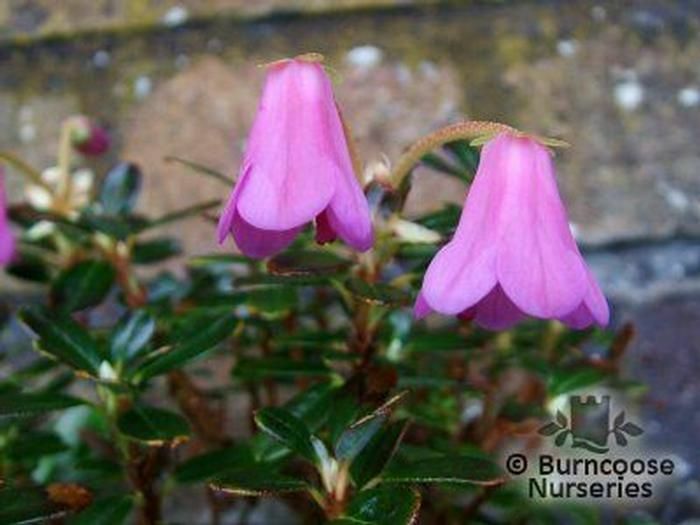 Deadhead carefully where practical to promote vegetative growth. 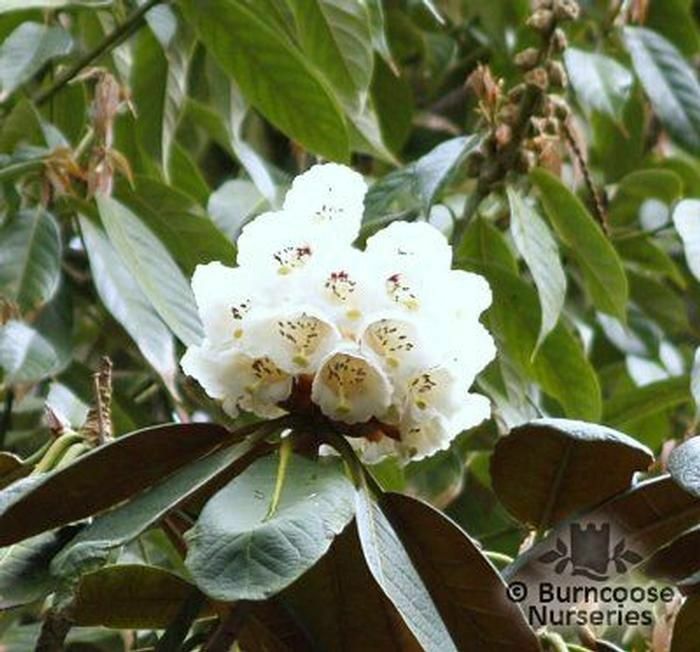 Commonly known as: Great white rhododendron. 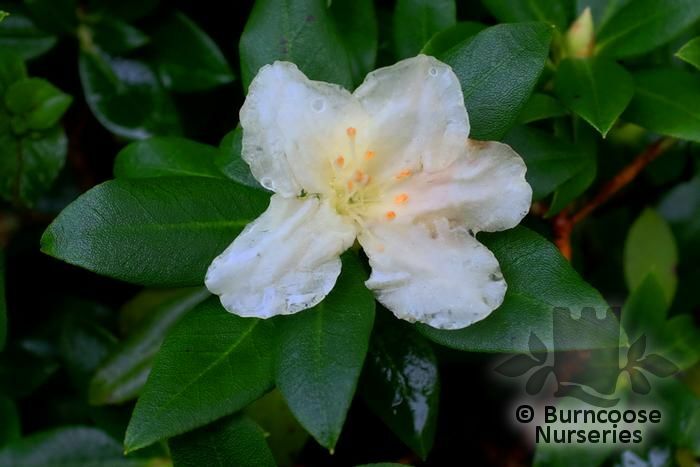 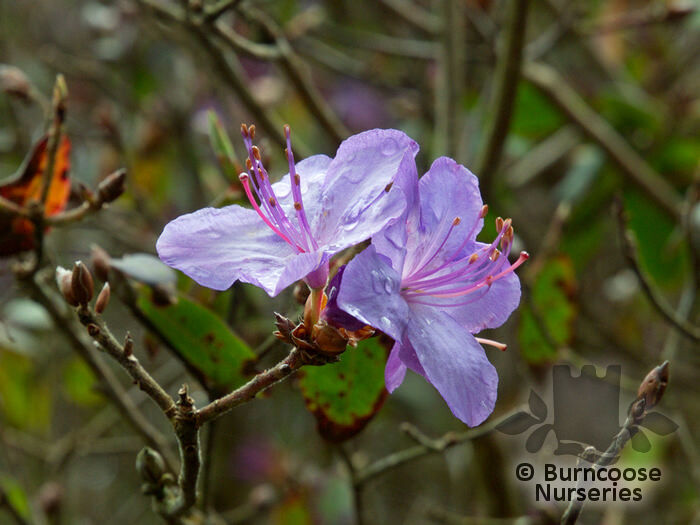 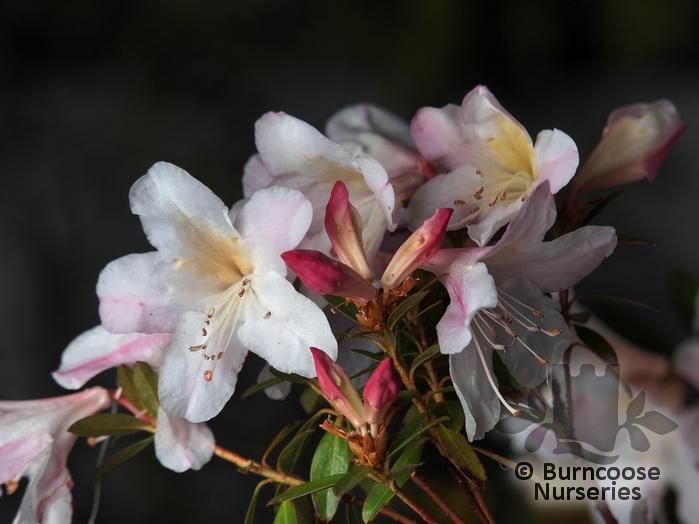 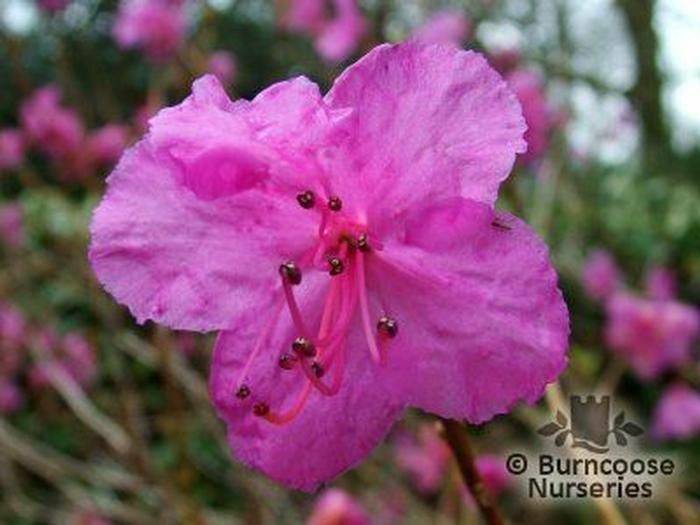 Commonly known as: Formosan azalea.